The National Intelligence Organization (Turkish: Millî İstihbarat Teşkilatı, MİT) is the state intelligence agency of Turkey. It was established in 1965 to replace the National Security Service. According to the former director of Foreign Operations, Yavuz Ataç, the military presence in the organization is negligible, although the organization has a military heritage. In 1990, the percentage of military personnel was 35%, while in 2007 the lower echelons were 4.5% military Former deputy undersecretary Cevat Öneş said that the MİT suffered with each coup, as each military junta that took control of the organization had its own set of priorities. While the organization has historically recruited from relatives of existing employees, the former undersecretary, Emre Taner, says that this is no longer the case. He is credited with reducing the turf war between the MİT and the General Directorate of Security, as well as infighting inside the MİT itself. Taner announced a restructuring of the MİT at the start of 2009. The MIT co-operates with the Central Intelligence Agency and the intelligence agencies of Russia. Its operations and missions are classified. In practice, religious minorities in Turkey are barred from careers in the MIT. 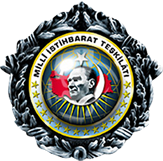 The MİT, which exists to serve the Republic of Turkey and is furnished with duties and responsibilities in line with this aim, is in charge of collecting nationwide security intelligence on existing and potential threats from internal and external sources posed against the territory, people and integrity, the existence, independence, security, and all the other elements that compose the constitutional order and the national power of the Republic of Turkey. The MİT is in charge of communicating collected intelligence to the President, the Prime Minister, the Chief of the General Staff, the Secretary General of the National Security Council and other relevant state organizations as necessary. The MİT is in charge of counterintelligence activities in Turkey. The MİT cannot be given any other duty and cannot be led to any other field of activity than collecting intelligence concerning the security of the Republic. The MİT engages in a proactive cyber defence program for Turkey and the use of cyberwarfare as a platform for attack. The Turkish Ministry of National Defence considers cybersecurity as the country's "fifth frontier" after land, air, sea and space. The MİT uses local cybersecurity solutions mostly developed by companies Havelsan and Tübitak. Providing secrecy in the conduct of the duty and activities the MİT is responsible for is indisputably of utmost importance. The Organisation's legal basis and structure can be found in Law No. 2937, the Law on the State Intelligence Services and the Turkish National Intelligence Organisation, as well as several other laws. Moving from the standpoint that otherwise it will be impossible to render intelligence services be fulfilled at the required level, the secrecy of records and information concerning the duties and activities of the MİT has been enforced with a penal clause included in the Organizational Establishment Law. Under the 27th Article, a sentence of imprisonment shall be faced in the cases of acquiring records and information concerning the duties and activities of the MİT, disclosing these records and information on negligence and causing these records and information to be obtained by unauthorized people. Before November 2016, when two more main departments were added, had four main departments. Pursuant to Law No. 2937, high crimes levied against a MİT agent that fall within the jurisdiction of the Heavy Penal Courts (described by Interpol as the 'Central Criminal Courts') must be approved by the Prime Minister or several other relevant officials. Testimony in court may only be made with and by the permission of the Undersecretary of the MİT. According to Article 29 of Law No. 2937, MİT agents must not give their testimony if it pertains to state secrets without further permission from the MİT Undersecretary. The Organization owns a non-public Museum of Espionage consisting of a variety of spy equipment, which was revealed once in October 2013. In the 1971 Turkish military memorandum the MIT did not inform Prime Minister Süleyman Demirel about the coup, and also asked for the PM’s resignation on the day of the coup. In the 1980 Turkish coup d'état, the plans for “Operation Flag” (Bayrak Harekâtı) were conveyed to the military units by the MİT’s airplane. The agency, however, once again did not notify the PM, even though the MİT was under the authority of the PM; because the MİT took part in the coup. In the 2016 Turkish coup d'état attempt the MİT fought against the coup plotters. According to reports, at 2012 there were many intelligence agents on Turkey's Syria border from many countries, but the MİT coordinated all intelligence gathering activities and worked in coordination with German, French, British and American intelligence services. The intelligence agencies did not take initiatives on their own and had to take the MİT as reference, which was acting as a leader. MIT has been accused that it helped deliver arms to parts of Syria under Islamist rebel control. Turkish journalists who exposed it have charged with spying and "divulging state secrets" from the Turkish court. One of the journalists claimed:"Those who sent the convoy from Turkey knew that the weapons were "heading to end [up] in ISIS hands". Also, Turkish officers, who intercepted some of the intelligence agency's weapons-filled trucks have faced spying charges. In addition, Turkish newspaper, Cumhuriyet, published a video footage which it said showed security forces discovering weapons parts being sent to Syria on trucks belonging to the MIT state intelligence agency. Serena Shim, a journalist of Press TV was killed at a car crash with a heavy vehicle in Turkey in what are claimed, by her employer and her parents, to be suspicious circumstances. The car crash happened just days after she claimed that the MIT, had threatened her and accused her of spying, due to some of the stories she had covered about Turkey's stance on ISIL militants in Kobane. She also claimed that she had received images of ISIL militants crossing the Turkish border into Syria in World Food Organization and other NGOs trucks. In 18 March 2016, Russia's UN Ambassador Vitaly Churkin sent a letter to the UN Security Council saying that three Turkish humanitarian organizations (NGOs) sent weapons and supplies to extremists in Syria on behalf of Turkey's MIT intelligence agency. The three NGOs were the Besar Foundation, the Iyilikder Foundation and the Foundation for Human Rights and Freedoms (IHH). MİT played an active role in Turkey’s Olive Branch military operation into the Syrian province of Afrin. The MİT’s role included the coordination and direction of Turkish-backed Free Syria Army, as well as intelligence support in the identification of targets for air strikes and post-destruction evaluation. In September 2018, Turkish intelligence agents in an operation in Syria have captured a man who was suspect over the 2013 Reyhanlı bombings and brought him back to Turkey. In January 2019, the Turkey's Defense Minister, the Chief of General Staff, the Land Forces Commander and the MIT Chief met at Hatay in order to discuss the latest developments in Idlib region and the next steps. In 2016, Diyanet instructed affiliated imams and religious instances to collect detailed information on the Gülen movement. It handed 50 intelligence reports from 38 countries over to the Turkish parliament. On April 5, 2018, Turkish Deputy Prime Minister Bekir Bozdağ said that MIT has captured 80 Turkish citizens, suspected of links to FETÖ, from 18 different countries so far. In 2002, Armenian special services arrested an Armenian government official on charges of spying for Turkish national intelligence. He was sentenced to 10 years in prison after being convicted of spying for Turkey. Turkish imams preaching in Australia's mosques have been instructed to spy on Australian supporters of Fethulah Gulen. In 2017, Peter Pilz released a report about the activities of Turkish agents operating through ATIB (Avusturya Türkiye İslam Birliği – Austria Turkey Islamic Foundation), the Diyanet’s arm responsible for administering religious affairs across 63 mosques in the country, and other Turkish organizations. Pilz’s website faced a DDoS attack by Turkish hacktivists and heavy security was provided when he presented the report publicly. Per the report, Turkey operates a clandestine network of 200 informants targeting opposition as well as Gülen supporters inside Austria. In 2018, MIT arrested a FETÖ member in Azerbaijan and brought him to Turkey. He was a teacher worked for FETÖ schools operating in Azerbaijan. In 2017, the Flemish interior minister, Liesbeth Homans, started the process of withdrawing recognition of the Turkish-sponsored and country’s second largest mosque, Fatih mosque in Beringen accusing the mosque of spying in favor of Turkey. On November 22, 2017, Egypt’s public prosecutor has ordered the detention of 29 people suspected of espionage on behalf of Turkey against Egypt national interest and joining a terrorist organization. They are also accused of money laundering, conducting overseas calls without a license and trading currency without a license. According to the results of an investigation by the General Intelligence Services, the group has been recording phone calls and passing information to Turkish intelligence as part of a plan to bring the Muslim Brotherhood back to power in Egypt. In 1994, a Kurdish man named Mehmet Kaygisiz, was shot in the back of the head at a café in Newington Green, in London. His murder remained unsolved and at the time his murder was thought to be drug-related, but in 2016 new evidence revealed that MIT ordered his murder. MIT was blamed for the 2013 murders of three female PKK activists in Paris. In March 2018, MIT abducted three suspected members of the Gulen Movement from Gabon and transferred them from Libreville to Ankara on a private jet. In July 2015 The Tagesspiegel newspaper reported that German federal prosecutors were looking into claims that three men - two Turks and a German national - were instructed by MIT to spy on Erdogan critics in Cologne, particularly Kurds and members of the Muslim minority Alevi community. On 2016, Bundestag intelligence oversight committee members demanded answer from German government about the reports that Germans of Turkish origin are being pressured in Germany by informers and officers of Turkey's MIT spy agency. According to reports Turkey had 6,000 informants plus MIT officers in Germany who were putting pressure on "German Turks". Hans-Christian Ströbele told that there was an "unbelievable" level of "secret activities" in Germany by Turkey's MIT agency. According to Erich Schmidt-Eenboom, not even the former communist East German Stasi secret police had managed to run such a large "army of agents" in the former West Germany: "Here, it's not just about intelligence gathering, but increasingly about intelligence service repression." German lawmakers have called for an investigation, charging that Turkey is spying on suspected Gulen followers in Germany. Many people who were spied upon were German citizens. In December 2016, a 31-year-old Turkish citizen who had resided in Germany for a decade was arrested in Hamburg on suspicion of espionage and plotting the assassination of two prominent Kurds on behalf of Turkish security services. In March 2017 the Turkish secret intelligence service was accused of conducting espionage of more than 300 people and 200 associations and schools linked to supporters of exiled Fethullah Gülen. Boris Pistorius [de], interior minister for Lower Saxony State, called this "intolerable and unacceptable", stating that "the intensity and ruthlessness with which people abroad are being investigated is remarkable". A German security official said that "we are horrified at how openly Turkey reveals that it is spying on Turks living here". On 30 March 2017 Interior Minister Thomas de Maiziere expresses suspicions that the move may have been intended to weigh on Turkish-German relations − "to provoke us in some way". The appallment was deepened when it was revealed that the 300 persons included politicians, including Michelle Müntefering. In October 2017, according to German press reports officials working in Germany's immigration authorities pass on information about Turkish asylum seekers to Turkey. In many cases, even their locations were also revealed, that even their families did not know for security reasons. These incidents showed that Turkish spies may have infiltrated German authorities. In addition, Herbert Reul, the interior minister for the German state of the North Rhine-Westphalia, submitted a report to the state parliament, alleging that the Turkish-German organisation "Osmanen Germania" works with MIT. The organisation denied the accusations. In July 2018, Germany banned the organisation on allegations it is involved in organized crime and represents a threat to the general public. In December 2011, the Turkish newspaper Birgun reported on an interview with former Turkish prime minister Mesut Yilmaz saying that Turkey was behind a number of large forest fires in Greece in the 1990s. Yilmaz later denied the statements, saying he had been misquoted by the newspaper and that he had been actually referring to unsubstantiated reports of Greek involvement in Turkish forest fires. In addition, former head of Greek intelligence service said they had intelligence that Turkish agencies were involved in the arsons in the 1990s but had no proof. He said they had received information from their agents in Turkey that Turkish agents or others were involved in the forest fires on Greek islands. In August 2013, Greek police arrested a German citizen on the island of Chios on suspicion of spying for Turkey. Police said they had found in the man’s possession cameras, laptops, maps and glasses with an embedded camera, and an email he had sent to an unidentified recipient with details on Greek warships and army vehicles on the island. The man confessed he had photographed barracks and other military-related buildings on the island for five people he believed were Turkish nationals who paid him up to 1,500 euros ($2,000) for each assignment. Greek authorities suspected that the individuals worked for the Turkish secret services. In October 2014, Greek police arrested a German citizen on the island of Kos because he photographed sensitive locations on the island. He admitted that was spying for MIT. In February 2017, the newspaper Kathimerini reported that the Turkish National Intelligence Organisation recruits EU retirees to spy on a variety of Greek sensitive locations, including military bases, airports and power plants. In March 2017, the former editor in chief of the English version of Turkish Zaman newspaper, Abdullah Bozkurt, posted a tweet on his account warning of increased clandestine operations of Turkish intelligence agents in Greece. In August 2017, the Kurdistan Communities Union said that had captured two Turkish nationals working for the MIT. Their plan was to assassinate a senior Kurdistan Workers' Party figure. They have been captured in Sulaymaniyah. In August 2018, a PKK leader and other Kurdish fighters killed in Turkish airstrikes in Sinjar. The Turkish Armed Forces carried out the joint operation with the MIT. MIT captured Abdullah Öcalan in Kenya on 15 February 1999, while being transferred from the Greek embassy to Jomo Kenyatta International Airport in Nairobi, reportedly with the help of the CIA. He was then forcibly transferred to Turkey to face trial. The cyber team of the MİT hacked the server of the ByLock in Lithuania and transferred all signed-up IP’s to the headquarters in Ankara. The MİT had finalized its operation in December 2015 and January 2016, before ByLock has ceased its operation. Bylock was a secure communication app and Turkish authorities believe that it was exclusively allocated for the members of the Gülen Movement. A Turkish teacher in Malaysia was abducted in 2016 from Kuala Lumpur over alleged links to the Gülen movement. According to reports he has been subjected to beating, torture, death threats and staged executions during his pretrial detention in Ankara. In 2018, Turkish together with Moldovan intelligence services detained at least six Turkish nationals employed at a private chain of high schools in Moldova. All were teachers or students at the Horizont Turkish high-school private chain, which is seen as close to the Fethullah Gulen. In July 2018, a Turkish teacher with links to the Gulenist movement was allegedly kidnapped in the Mongolian capital and taken to the city's airport. He has been released after authorities temporarily grounded the airplane which was operated by the Turkish Air Force. Stockholm Center for Freedom accused the Norwegian Islamist religious organizations that are affiliated with Turkish government that were illegally profiling and intelligence gathering activities on Turks who are believed to be affiliated with Gülen movement in Norway. In 2015, Matthew Aid wrote that according to reports spies from Turkey is among the most active in Serbia. Turkey organize and finance the movement of Bosniaks for the secession of the Raška region. An investigation was launched on suspicion of unlawful intelligence gathering and illegal “mapping” against opposition circles in Sweden. Parliamentarian Alex Kuprecht announced that the government was considering opening a criminal case against regarding espionage and other illegal activities performed by Turkish agents against dissidents. Also, there were espionage against academics who were critical of Turkey. On March 16, 2017, the Office of the Attorney General launched a criminal inquiry into possible foreign spying on Switzerland's Turkish community. Investigation also concerned an attempt to kidnap a Swiss-Turkish in Zurich to take him abroad. In July 2018, a FETÖ-linked suspect was brought to the Turkey from Ukraine following operations conducted by the MİT. ^ "History of the MİT, MİT official Web site". mit.gov.tr. Retrieved 2014-03-30. ^ "Diyanet İşleri'ne 10, Cumhurbaşkanlığı ve MİT'e 2, Dışişleri'ne 4 milyar lira; işte 2019 için öngörülen bütçeler". t24. ^ Ünlü, Ferhat (2007-07-16). "İngiliz general Apo'nun başına beş milyon sterlin istedi". Sabah (in Turkish). Retrieved 2008-12-18. Ataç, ordu kökenlilerin oranının hiçbir zaman yüzde dördü geçmediğini belirttiği MİT'te, sivilleşme olgusu ve asker-sivil sorunsalının yanlış ele alındığı görüşünde. ^ Ünlü, Ferhat (2007-07-19). "MİT'te iç çekişme entrikaya yol açtı". Sabah (in Turkish). Retrieved 2008-12-18. Yaklaşık 5 bin kadrolu personeli bulunan kurumda (Yardımcı istihbarat elemanları ile birlikte bu sayı çok daha fazla) alt kademelerdeki ordu kökenlilerin oranının yüzde 4.5'i geçmediği belirtiliyor. ^ "'Hiçbir darbe gizli olmadı'". 2007-07-15. Archived from the original on November 22, 2008. Retrieved 2008-12-18. Öneş'e göre, askeri müdahaleler MİT'i geri bırakan asıl etkenlerdi. Çünkü MİT'in güvenlik anlayışı darbelere göre şekillendi. Demokratik süreç kesintiye uğrayınca istihbarat teşkilatı da geri kaldı. ^ "MİT'te akrabalık önemli referans". Sabah (in Turkish). 2007-07-20. Archived from the original on October 9, 2007. Retrieved 2008-12-18. ^ Sariibrahimoglu, Lale (2008-12-07). "Turkey needs an intelligence coordination mechanism, says Güven". Sunday's Zaman. Archived from the original on 2009-08-31. Retrieved 2008-12-17. ^ Yetkin, Murat (2009-01-01). "Mercek altındaki MİT'te köklü değişiklik yapıldı". Radikal (in Turkish). Retrieved 2009-01-01. ^ "National Intelligence Organization". mit.gov.tr. Retrieved 2017-02-25. ^ "Post-coup shake-up at Turkey's intelligence agency". 6 November 2016. Archived from the original on 8 November 2016. Retrieved 7 November 2016. ^ "Former Turkish spy chief re-appointed to post after abandoning election bid". 9 March 2017 – via Reuters. ^ a b c What’s next for Turkey’s National Intelligence Agency? ^ "Exclusive: Turkish intelligence helped ship arms to Syrian Islamist rebel areas". Reuters. 2015-05-21. ^ "Turkish journalists charged over claim that secret services armed Syrian rebels". The Guardian. 2015-11-27. ^ a b c "Turkish officers arrested for 'treason' after intercepting weapons destined for Syria". RT. 2015-11-30. ^ "Video purports to show Turkish intelligence shipping arms to Syria". Reuters. 2015-05-29. ^ "Iranian broadcaster raises suspicions about death of reporter on Syrian border". The Guardian. ^ "Mystery of American journalist killed in car crash in Turkey... just days after she claimed intelligence services had threatened her over her coverage of siege of Kobane". Daily Mail. ^ "US-Lebanese reporter dies in Turkey, Iranian TV calls accident 'suspicious'". Hurriyet. ^ "Family suspects foul play in death of US journalist in Turkey". Fox News. ^ "Russia claims Turkish NGOs are 'main supplier' of extremists in Syria". Deutsche WElle. ^ "Turkey is key supplier of weapons, military hardware to ISIS – Russian envoy to UN". RT. ^ "Turkse moskeeën in België gevraagd te spioneren voor Turkse overheid" (in Dutch). Knack. 13 December 2016. Retrieved 13 December 2016. ^ "Diyanet gathers intelligence on suspected Gülenists via imams in 38 countries". Hürriyet Daily News. 7 December 2016. Retrieved 13 December 2016. ^ "Türkische Imame spionieren in Deutschland für Erdogan" (in German). Die Welt. 9 December 2016. Retrieved 13 December 2016. ^ a b c "Turkey's Influence Network In Europe Is Leading To Tension". huffingtonpost. Retrieved 5 June 2017. ^ "Turkish intel returns wanted FETÖ member from Azerbaijan". hurriyetdailynews. Retrieved December 29, 2018. ^ "Egypt detains 29 people on suspicion of espionage for Turkey". 22 November 2017. Retrieved 10 December 2017 – via Reuters. ^ "In Pictures: Egypt foils Turkish espionage attempt - Egypt Today". www.egypttoday.com. Retrieved 10 December 2017. ^ a b "Report: Turkey's MIT agency menacing 'German Turks'". ^ "German Lawmakers Call for Probe on Imams Suspected of Spying for Turkey". turkeypurge. Retrieved 10 December 2016. ^ "ERDOGAN'S MUSLIM SPIES: Turkish imams snooping on Merkel's Germany for President". express. Retrieved 9 December 2016. ^ "Germany accuses Turkey of 'unacceptable' spying". The Independent. 28 March 2017. Retrieved 30 March 2017. ^ "Germany to investigate claims of 'intolerable' spying by Turkey". The Guardian. 28 March 2017. Retrieved 30 March 2017. ^ "Turks in Germany warned over surveillance from Ankara". Deutsche Welle. Retrieved 30 March 2017. ^ "Germany: Turkish spy list may be deliberate provocation". Fox News. 30 March 2017. Retrieved 30 March 2017. ^ "Müntefering wirft türkischem Geheimdienst Denunziation vor". tagesschau.de (in German). Retrieved 30 March 2017. ^ "Name of German SPD lawmaker Michelle Müntefering found on Turkish spying list". Deutsche Welle. Retrieved 30 March 2017. ^ "Spionage-Affäre: Michelle Müntefering auf türkischer Geheimdienstliste" (in German). Frankfurter Allgemeine Zeitung. 29 March 2017. Retrieved 30 March 2017. ^ "Former Turkish PM's arson admission fuels anger". Business Insider. December 28, 2011. ^ "Outrage As Former Turkish Prime Minister Says The Country Secretly Started Huge Forest Fires In Greece". Business Insider. December 28, 2011. ^ "Turk-Greek ties strained by arson row". Hurriyet Daily News. December 30, 2011. ^ "Greek police arrest German on suspicion of spying". reuters. Retrieved 3 August 2013. ^ Bozkurt, Abdullah (27 March 2017). "My sources are telling me #Turkey intel has escalated clandestine ops in #Greece, raising the number of operatives. Plotting something?". Retrieved 6 January 2018. ^ Weiner, Tim (20 February 1999). "U.S. Helped Turkey Find and Capture Kurd Rebel". The New York Times. Retrieved 15 December 2007. ^ "Report: Sweden Launches Espionage Probe Into Turkish Gov't Representatives". stockholmcf. Retrieved 11 November 2017. This page was last edited on 17 March 2019, at 01:05 (UTC).